S. Paul’s Church is a Grade I Listed building set in the centre of Deptford, directly off the main high street. The church has withstood many social changes and upheavals, and has been at the forefront of Deptford social history. Deptford was originally named after a ‘deep ford’ over the River Ravensbourne, which connected to the Thames. For almost 350 years it was an important naval shipbuilding site, founded by Henry VIII in 1513 and operated by the Royal Navy. During this time many notable war ships were constructed there, and famous mariners were associated with it, including figures such as Sir Francis Drake, Sir Walter Raleigh and Admiral Nelson. In 1774 Deptford was described in the Ambulator as ‘a large and populous town, divided into Upper and Lower Deptford and containing two churches’. These were the churches of S. Nicholas and S. Paul. Queen Anne’s 1710 Church Building Act made a proposal to build 50 churches, one of which included S. Paul’s. 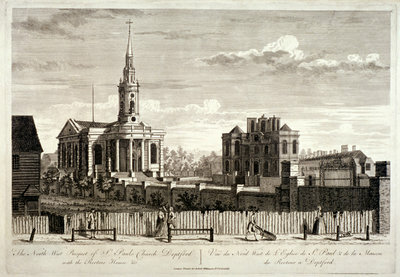 The other Queen Anne churches included S. Mary-le-Strand, designed by James Gibbs; St George’s, by John James, in Hanover Square; and several churches designed by Nicholas Hawksmoor, including S. Alfege, Greenwich, Christ Church, Spitalfields, S. Ann’s, Limehouse and S. George’s, in the East. S. Paul’s was designed by the architect Thomas Archer, and was described by John Betjeman as ‘a pearl at the heart of Deptford’. It is a remarkable and important example of English-Italian Baroque. Archer’s inspiration for the church came from the interior of Francesco Borromini’s S. Agnese and S. Maria Della Pace at the Piazza Navona in Rome. The Royal Commission on the Historical Monuments of England has referred to S. Paul’s as one of London’s finest Baroque buildings.